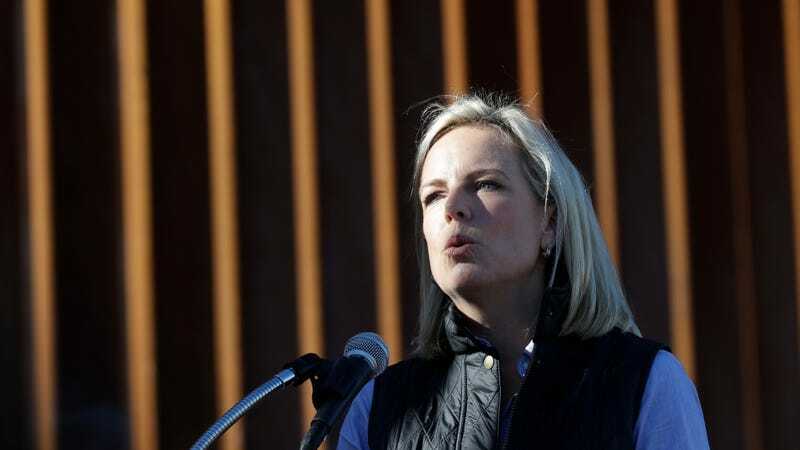 Gearing up for what it seems will be yet another awkward, protracted firing, President Trump has told advisers that he intends to get rid of Homeland Security Secretary Kirstjen Nielsen. This could happen anytime within the next few weeks or, sooner! Who can say! Nielsen reportedly isn’t too excited about becoming yet another employee booted from the administration before she reaches the one-year mark (her anniversary would be December 6, sad), but then again, she’s been “unhappy in the job for several months.” Oh weird, why? Trump has berated her during Cabinet meetings, belittled her to other White House staff and tagged her months ago as a “Bushie,” a reference to her previous service under President George W. Bush and meant to cast suspicion on her loyalty. Bye Kirstjen! You’re awful, and your replacement is bound to be worse.